In the country, parking is ample and free! Our paved parking lots accommodate 200 vehicles including handicapped and limousine parking. Take a drive out today! Join us the first Wednesday of every month for Ballroom Dancing! Featuring a 5 piece live band and a three course dinner buffet for only $40 per person. Call to (204) 224-2837 to buy your tickets for our next dance! Stage an outstanding culinary experience or an amazing social event to inspire your guests. 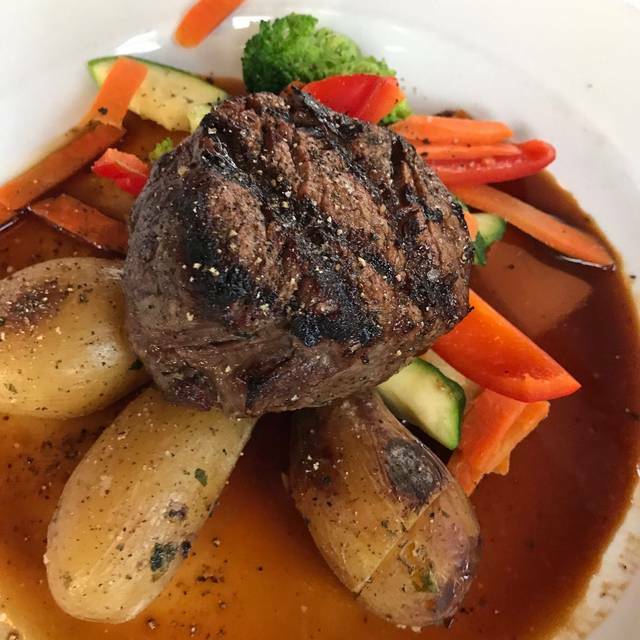 Indulge with our impressive menu selections - perfect for cocktail receptions, grand openings, luncheons, dinners, and gala events both large or small. The Gates on Roblin Catering offers you the best of both worlds – fully catered events at our location or yours. We provide our full service, off-site catering to homes, businesses, or any venue of your choice. Our dining areas can be individually reserved as a great destination for a special occasion celebration. Whether you’re celebrating a milestone anniversary, or hosting an important business gathering, The Gates on Roblin offers a condensed version of our lunch and dinner menus for parties of 10-75 people. 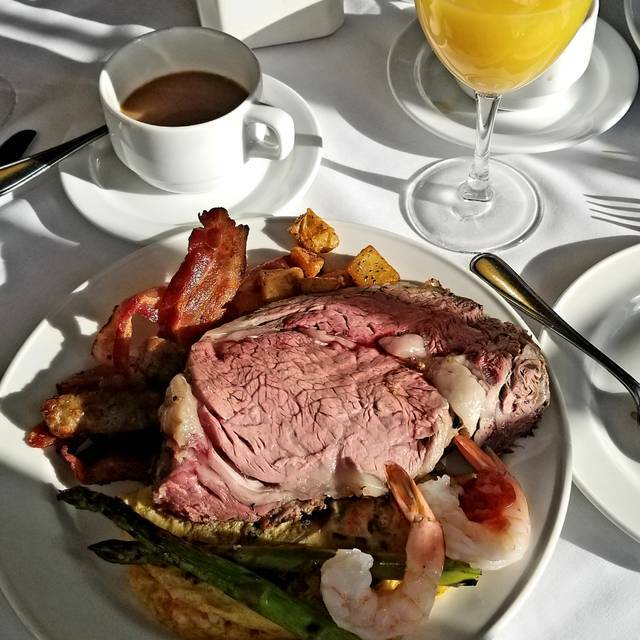 Easter brunch was delicious but rather expensive...almost double the normal Sunday brunch price with no extras that I could see! Took our son and daughter-in-law out for his birthday. Food as always excellent. Wish they had a 6, 8 and 10 oz prime rib as 6 is a bit too small once it’s cooked up and 10 oz is too big for most. The chicken was juicy and amazing. My husband thought his salmon was a bit undercooked but he eat it and didn’t say anything. Lovely experience! Our first time and we thoroughly enjoyed. Great for a special occasion. It was just the 2 of us but noticed that they can accommodate bigger groups. Food was delicious. Excellent quality and variety of choices. Will definitely be back. a most quante amazing venue. Went for brunch and had the double burger (no bun) and a soup. Incredible flavor. coffee was a 10 out of 10 as well. I wanted a quiet location to lunch with my friend who recently lost her husband. My choice turned out to be perfect. Excellent food, efficient service and a sunny, restful location. Always enjoy coming here for special occasions, the food is always delicious and there is always a wonderful variety. The service is usually very good. Staff are always friendly! The perfect spot for a family dinner. The ambiance was quiet and quant which allowed us to enjoy conversation while having an incredible meal. Thanks to everyone! The dinner, from appetizer, to dessert was outstanding. I'm a Rack of Lamb person and it was one of the best I've had in some time! The service was superb..Even to the point of bringing us a piece of cake with a sparkler for our anniversary. Nice evening to celebrate our anniversary. Thank you. Great food however the steak was a bit dry. Overall good experienced was great. This was my first time attending the brunch however we’ve been there for other occasions. The assortment of food was amazing! The individuals working the stations were polite and engaging. Our servers were attentive while giving us privacy to enjoy our meal. The food and service was excellent . The wine was good too ! We find the Gates a wonderful place to eat and the service is outstanding and exactly what a person would want to receive . We definitely recommend the Gates to relatives and friends very frequently . The venue was beautiful. The hostess was wonderful. The food was great. What could have made it a better experience was if the server had asked me if I wanted a refill on my pop. I had also said no lettuce and tomato on my burger and it came with it on it. We all had the amazing salmon. Service as lovely. We are recommending to all our friends. Next lunch out will be at Athe Gates. The service, the ambience and food were all excellent! I didn’t enjoy the salmon cakes as it was dried out from sitting in the buffet but all the other items were amazing! There was lots to choose from and my young daughters all found something they enjoyed eating as well. We’ve decided we are going to make it a tradition to come for brunch on our birthdays. This is the first time my husband and I have tried the Sunday brunch. It was delicious! We were there right at 10, so it was very quiet. We only had two other people in our seating area. The food was fresh and delicious and we were very impressed by the variety! Sunday brunch was a family treat, a tad pricey but a worthwhile experience. We went there for our wedding anniversary, we were made to feel special and welcome. 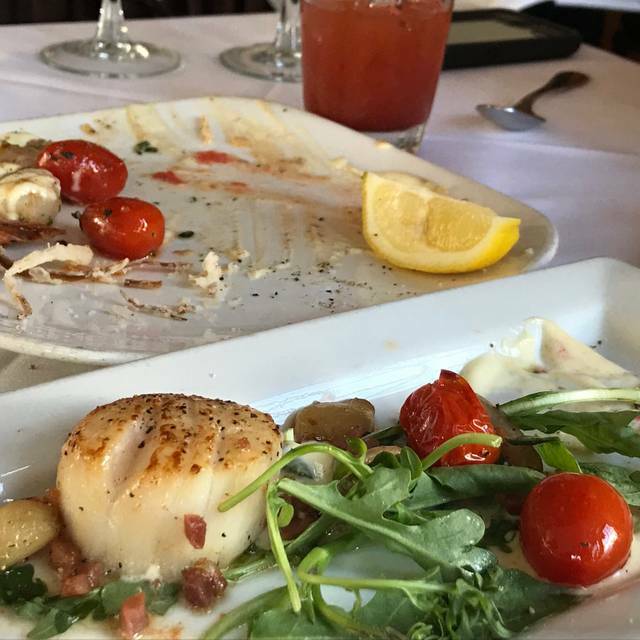 The food was outstanding, the cost a little high, BUT you are paying for excellent food, and service, so totally worth the cost for us. Gorgeous location and ambiance. Foo fans service are top notch. Favorite place in Manitoba. Great food for a buffet and fantastic service. We really enjoyed the experience. It was a busy evening. Food was tasty but a bit slow arriving and could have been warmer. Service was wonderful. Food was very tasty but soup was luke warm. My sister in law said her prime rib sandwich was okay. Cooked well but no flavour. We’ve eaten here before and other dishes were better. Would recommend it. As previous food experiences were better. Food was delicious. Service was great. I would definitely come here again. We were seated in a lower level which you had to access through back hallways. Only one other table taken. It was so dark we couldn’t read the menu, we had to use phone flashlights. The appetizer we chose was calamari which was cooked well, unfortunately it was swimming in sweet Thai Chile sauce, ruined it completely. We had table service, chateaubriand. The table service was entertaining however, the vegetables, specifically the broccoli was not even slightly cooked. The red peppers were charred and mushy tomatoes were not edible. The meat was underdone and all was cold. The béarnaise sauce was so thick, it did not pour. Dessert was Creme brûlée, which was chard on the one side but overall good. Served with a whipped Creme with no sugar in mine, therefore whipped butter, my date was fortunate to proper whipped Creme, and unripe strawberry. Were had the room to ourselves for most of the time, privacy was nice. It is too bad the food was poor. We booked The Gates to celebrate Valentine’s Day. We obtained a table for the 6:00 seating. Our meal was delicious, the server was attentive but not hovering. A couple with two small children were at the next table. I’m sure they were nervous about their children’s behaviour but they did very well. All in all a good evening. Always our favourite place to go twice a year. The food is fabulous and close to home. Used to go,quite often. Don’t know why we stopped. 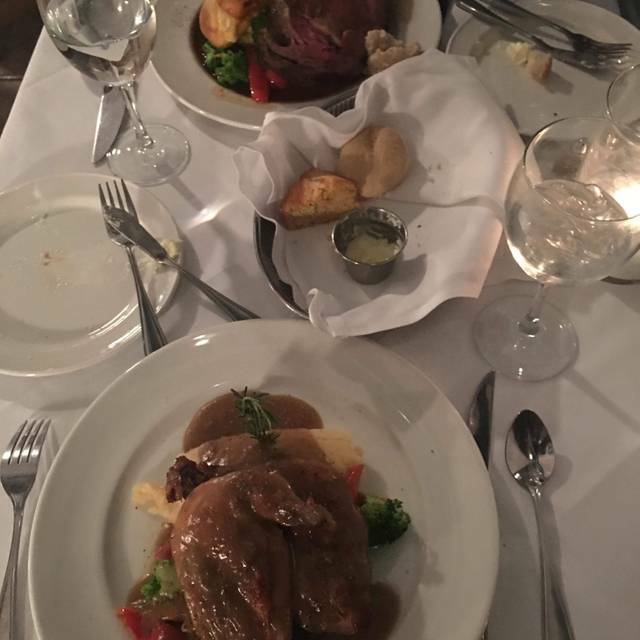 Food was ,excellent and so was our service. Coming back for lunch with a friend this week. Brought my wife for her birthday. Food was delicious and service was friendly and helpful. The Gates was great for that special time you want to celebrate. It was a beautiful experience as it was my first time at The Gates and I would highly recommend it to anyone who asks me how my Birthday lunch was, it was great. Sunday brunch was disappointing. Average items we could find anywhere. Carvey was one very small roast. For the price we were expecting to be wowed. Best part was the orange juice, that's it. Very unfortunate because it's a great location. Strangely, the staff never asked if we enjoyed our meal, almost like they knew it was....underwhelming. We wouldn't recommend or return to The Gates. Delicious food, great ambience, and excellent service. This is an annual date that we look forward to! The whole experience at The Gates was fantastic. 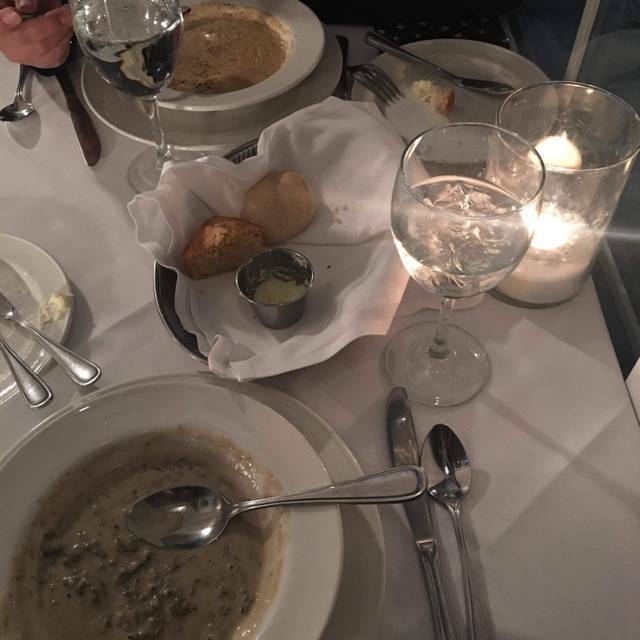 The food was delicious, portions were very good, ambiance was great, and location was easy to get to. We will definitely be back!